Recreate in music the birth of the prehistory! Such is the challenge that Shane Morris and Mystified imposed themselves with the Inspired Evolution trilogy. If the soundscape of Epoch depicted the period of reptiles and dinosaurs, this 2nd part focuses on the emergence of mammals as well as their environments. And as in Epoch, Shane Morris and Thomas Park display a whole sound arsenal which immerses us in a luxuriant fauna where the sounds embellish with images the story of “Emergence” with an impressive artistic vision deserving of two magnificent smiths of atmospheres. Hollow breaths follow the walls of a cave which oozes of some scattered drops which fall with a tone of hard wood. "From the Primordial Night" plunges us into the blackness of a defensive birth where the mothers give birth in the purest of the anonymities. The ambience is torrid with its black winds which cross ramparts of rocks where sparkle rustles of insects witnesses of the birth and which feast with a concert of their musical wings. You have to hear these wings of prehistoric locusts and cicadas forged a bewitching abstract rhythm. A rhythm which depicts a hard battle between the mother, her womb and the life that she wants to deliver, while that heavy crashes fall on "From the Primordial Night", adding so a dramatic touch that some winds with breezes of oracles embrace of a profound worry. The difficulty of the birth is splendidly put in music by the duet. 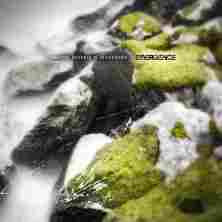 And if our imagination goes towards other possibilities, they are numerous believe me, Shane Morris and Thomas Park bring us back to their reality with the very soft "A Struggling New Form of Life" and its winds symphony which would stick to a documentary showing the first steps of a baby mammoth. "Weathering Storm and Tide" breathes through these percussions of hardwood which mould the concerto for locusts in "From the Primordial Night". The ambience is simply surrealistic in a pair of earphones. Abstract, the rhythm sparkles of these tap-dancing which ooze such as thousands of rainy drops in a sound environment fed by strata of synth forewarning of terrestrial apocalypse of which the rumbles of thunder amplify with dexterity. The percussions are stunning in this track. The quiet winds of "To the Icy Peaks" lead us in a Scandinavian setting where the breaths of ice fail on ice floes of cymbals. Every detail is well thought on “Emergence”, as prove it these cymbals and percussions which simulate the fall of big glaciers. The ambiences are heavy with synth layers to Shamanic hoarse breaths, to colors of clarions of snows and to fine prismic nuances. There are no rhythms, but the atmospheres are staggering, quite as in the powerful "Feet on the Ancient Forest Floor" which reminds me enormously Steve Roach's universe with these long buzzing breaths which follow the desert lands and these clan percussions which forge the spiritual dances. Doubtless the most intense title of “Emergence”. I rarely heard a music so creative, imaginative as that of Shane Morris and Mystified. The American duet places the bar very high by wanting to recreate a world that our eyes saw dozens of times without ever really feeling all the intrinsic atmospheres or emotions. “Emergence” is as much penetrating, fascinating as Epoch. Our ears are transformed into eyes so much the reality of sounds exceeds the fiction. It's high-level ambiospherical opus which finds all its nobility and meaning under the shells of a good pair of earphones. Fans of sounds and atmospheres, “Emergence” is for you.